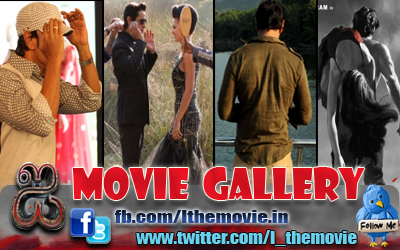 Home » Latest Buzz » Chiyaan Vikram, Suriya coming together for Mani Ratnam? Chiyaan Vikram, Suriya coming together for Mani Ratnam? If some sources are to be believed there is a mother of all multi starrers in recent times is in on the cards. Some of the biggest names are said to be a part of this big one. This ‘believe it-or-not’ story is spreading like wild fire lately. Vikram and Suriya are coming together along with Telugu Super Star Mahesh Babu for a film that will be directed by none other than Mani Ratnam. The huge star cast is possible only in a Mani film and given the fact that Vikram and Suriya have already worked with Mani Ratnam the news could be true. 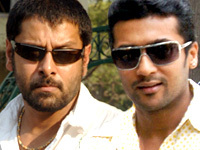 More over Vikram and Suriya have already come together for Bala in the film ‘Pithamagan’. And for the story, Mani Ratnam is said to treading on the familiar route. Mani Ratnam who usually transforms a historical or a mythological into a social story has taken the classic ‘Ponniyin Selvan’ this time according to sources. The most popular novel of modern Tamil literature is being adapted to contemporary times they say. ‘Raavanan’ is history now. Vandiyadevan, Arulmozhivarman and Kundavai are going to be the new idols.